As the debacle at HealthCare.gov continues into its second month, the Obama administration is facing increasing pressure to fix the technical problems that have plagued the site set up to sell insurance through the Affordable Care Act (ACA). Barack Obama has faced criticism from Democratic Party supporters that the dysfunctional web site is creating a “crisis of confidence” that needs to be addressed. In an appearance before the Senate Finance Committee Wednesday, Health and Human Services Secretary Kathleen Sebelius said the government is still working to fix a “couple of hundred” problems with the federal health insurance web site. She rejected calls from politicians of both parties to delay the initial enrollment period beyond March 31, 2014, arguing, “There’s plenty of time to sign up for the new plan.” The White House is determined to stick to the March 31 deadline, and has also rejected calls to temporarily take the site down until the technical problems have been resolved. 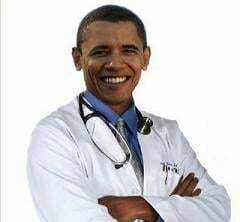 Under what is commonly known as Obamacare, all those who are not insured through their employer or through a government program such as Medicare or Medicaid, with a few exceptions, must obtain insurance or pay a penalty. Pushing back the deadline, or delaying it by as much as a year as a number of Congressional Republicans have demanded, would block this key provision, which the administration hopes will force millions of people to purchase coverage from private insurers on the exchanges. An outright collapse of the HealthCare.gov site would signal more than technical ineptitude and mismanagement on the Obama administration’s part. Enrollment under the threat of penalty through the “individual mandate”—providing the insurance companies with millions of new cash-paying customers—is the only substantial component of Obamacare. There are no plans to train new doctors and nurses, or to expand health care to the rural poor, or to launch a nationwide program aimed at eradicating hunger and disease. Rather than initiating social reforms, the health care legislation is aimed at increasing levels of social inequality and setting up a more heavily class-based health care system in America. Obama’s claim that the health bill will provide anything approaching “universal health care” is an insult to the intelligence of the American people. Even if the web site were running smoothly, the Congressional Budget Office has projected that the health care overhaul will leave 31 million people uninsured, and about 6 million of these will pay penalties. These figures include undocumented immigrants who do not qualify for government subsidies to purchase coverage, millions of the very poor whose resident states are not expanding Medicaid, and those who choose to pay a penalty because they cannot afford insurance, with or without government subsidies. Many of those who have somehow managed to access HealthCare.gov and peruse the policies available for purchase have also been in for a rude shock. While days before the web site launch Obama was promising that many plans on the exchanges “will cost much less than they do now,” people are finding that the least expensive priced plans come with the highest out-of-pocket costs due to annual deductibles and cost-sharing. In the course of the disastrous web site rollout the president has been caught in yet another lie, his oft repeated claim that “If you like your health plan, you can keep it.” It has been revealed that the White House was aware as early as June 2010 that an estimated 40 to 67 percent of the 14 million Americans who purchase health insurance on the individual market would be dropped by their insurers. Millions of people have already received cancellation notices, and many are finding that replacement policies are priced substantially higher. As the fallout over the federal web site continues, one of the more insidious objectives of the health care overhaul is also becoming clearer. Behind the doubletalk of providing “universal” and “affordable” coverage, from the outset the health care legislation has been devised as a means of dismantling the employer-based system of insurance that for decades has guaranteed a basic level of health care for millions of workers in the US. Modeling themselves after the ACA, major companies, including IBM, Time Warner and Caterpillar, have already shifted their retirees off of company-administered health care plans and into privately run health care exchanges. Others, such as Sears Holding and Darden Restaurants, have moved their active employees to these private exchanges. According to one estimate, within the next five years nearly a quarter of the 170 million people presently enrolled in company-sponsored plans will be dumped by their employers onto these private exchanges. City and state governments across the US are also considering moving their retirees, and in some cases their active employees, off of municipally funded benefits. In Detroit, the emergency manager overseeing the city’s bankruptcy proceedings announced earlier this month that health insurance is being eliminated for retired city workers under age 65 and replaced with a paltry $125 stipend toward purchasing coverage through Obamacare. As the World Socialist Web Site wrote at the time of its passage, the Affordable Care Act “represents the opening shot in a sweeping attack on health care for working people.” Legislation hailed as a historic reform has in fact been exposed as a counter-reform in health care. More broadly, it has put into motion a drive by the Obama administration and the ruling elite to restructure class relations in America, establishing a system in which the wealthy can purchase the best care out of pocket and working class families are relegated to substandard care. A real solution to the crisis of health care in America requires a program and perspective that is the class opposite of Obamacare. The provision of universal, quality health care requires taking the profit out of the health care and placing the entire health system on socialist foundations.